As I climbed the stairs toward our meeting room in Southeast Asia, I saw this banner for the first time. The picture on the banner was of a young Billy Graham. At some point in the past, Graham had said those words, no doubt with his usual fervor. I am convinced that he believed those words and lived by those words. I recently returned from a two week mission in Southeast Asia. 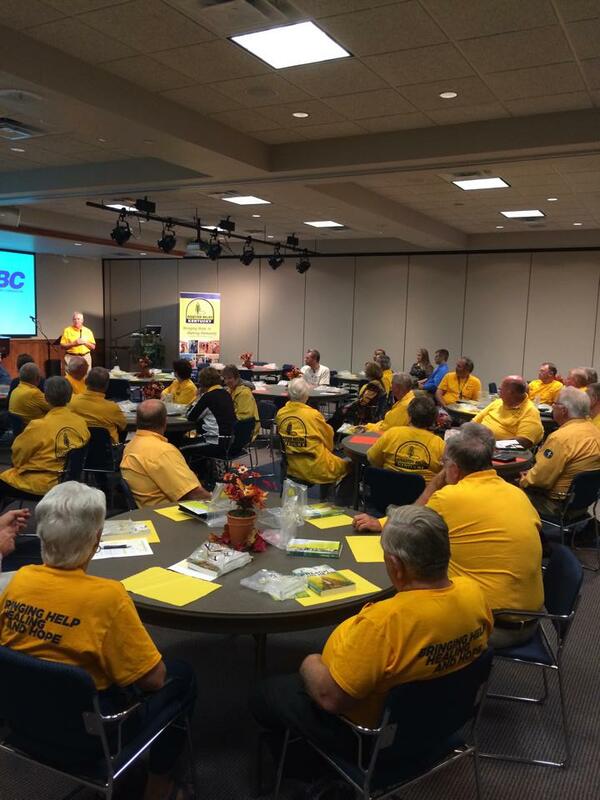 As mission strategist for the KBC, my purpose in going was to help KY churches reach Southeast Asia for Christ. The lostness of this region in our world is staggering. Religion abounds. Yet, millions follow down a path of religion that leads to a dead end. Like driving down an unfamiliar road that ends abruptly, scores of people are following after a religion that in the end will not lead them to God. As one Muslim we encountered testified, “I am not like other Muslims! I pray five times a day!” Part of his passionate plea to us was an indictment on the other 20 or so Muslim men standing around as we talked. He, in effect, was scolding the other Muslim men for being…well, nominal Muslims. This young Muslim man does not realize that the path that he believes will lead him to God is actually a dead end. Graham was right. A personal relationship with God comes only through Jesus. The Psalmist understood this truth as he called the earth to rejoice and the many islands to be glad (Ps 97:1). He would go on to tell us that God alone is far above all gods (Ps 97:9). We certainly know because of the New Testament that Jesus is the source of our true happiness and satisfaction. We know God through His Son, not through our attempts at religion. Whether one is a Muslim, Hindu, Buddhist, Atheist or Secularist, the man-made road always leads to a dead end. Only in Jesus do we find the path of life and pleasures for evermore (Ps 16:11). So, what has Southeast Asia taught me? It’s simple. All attempts to travel the pathway to God result in dead ends. Only the path to God through His Son leads to life (Matt 7:13-14; John 14:6). So, where does this leave us as a convention of Baptist churches? Well, if the many islands are called to be glad in God (through His Son, Jesus), then we must send our troops to the islands. We must march to these lands (or in many cases fly or sail) and take the only good news that countless people need to hear desperately—our God saves all who will call upon Him through His Son, Jesus (Rom 10:9-10, 13). Right now, untold numbers are heading down a path that leads nowhere. Actually, it is a path that leads to death and hell (Matt 7:13)—a dead end, if you will. As Kentucky Baptists, let’s think creatively and intentionally about ways to reach the many islands and inlands with the gospel of Jesus Christ. Let’s do this before the dead end ends. May your church’s purpose be to help people find a relationship with God through Christ regardless if it’s across the street, throughout the country or around the world. Preparation is important in any area of ministry, because it enables us to be more effective in ministry. The wisdom writer in Ecclesiastes 10:10 declared, “If the ax is dull, and one does not sharpen the edge, then he must use more strength, but wisdom brings success.” Sharpening the blade will enable the tool to be more efficient, just as training helps believers to serve more effectively in response to the survivors of disasters. Through your gifts to the Cooperative Program, the Kentucky Baptist Convention is able to provide training in disaster relief that prepares Kentucky Baptists to be ready to serve in positive ways during times of disaster. Training enables us to respond in appropriate and effective ways. Training prepares us to understand our role as part of a team. Training enables us to sharpen our abilities, in order to be an asset not a hindrance in the response. Training prepares us to understand, in a deeper way, some of the trauma that victims face, so that we might be able to offer appropriate compassion. Training prepares the head by gaining knowledge. The greatest reason to train is that God deserves our very best in all that we do. In order to achieve this, discipline, effort, and knowledge are required. Trainings are an opportunity to grow as believers, so that we are ready when God calls. Disasters will come. Therefore, let me encourage you, be prepared to serve by being trained. Victims deserve that. Other disaster relief workers deserve that. But most of all, our God deserves that! For more information or to register go to http://www.kybaptist.org/dr. Baptist associations have been around since 1707, and there were already 125 local associations of Baptist churches established by 1814. Over the years, associations have served a variety of purposes and still do today because each association operates autonomously from the Southern Baptist Convention (SBC) or state convention. The direction and mission of each Baptist association is determined by messengers from churches that are members of the local association. Most associations have a Director of Missions who is responsible for leading the mission and ministry of the association as determined by messengers from the churches in regular meetings. Although associations function in many different ways as determined by the churches, there is one primary purpose that should not be overlooked– and that is, that they function missionally or as a catalyst for missions. When you consider all that your local association does, would you call it missional? I hope so, but I suspect that in some cases, that is not the word that comes to mind. What does it mean for an association of churches to function as a missions organization with a leader they refer to as a Director of Missions (or DOM)? Johnny Rumbaugh, who is a well-respected and excellent DOM in South Carolina, recently shared what he thought were the Four Functions of a Missional Baptist Association. I want to share them with you for your consideration as you think about the association that your church is part of. If you’d like to see your association more missional, get busy. Churches that participate in the association are positioned to create change and give new direction to the association. Get involved and serve as a catalyst for the kind of change needed to make your association function in a more missional way. Lead in creating a culture conducive for churches to embrace a disciple-making and church planting multiplication movement.